On this year’s family vacation to Disney, we added two nights at Universal since our kids (12 and 9) are now old enough to get the most out of these parks. They are geared to a slightly older kid crowd. We stayed at the Portofino Bay Hotel, and you can read the hotel review here. When you arrive from the hotel via the water taxi, you disembark at CityWalk. CityWalk is an entertainment and dining complex located between the two theme parks. Over the bridge to the right is Universal Studios and over the bridge to the left is Islands of Adventure. The big draw at Universal Orlando Resort is of course, their two Harry Potter themed lands. Walking into Hogsmeade and Diagon Alley, takes you right into the movie. Universal nailed it! We are not big Harry Potter fans, kids are reading the books now, and we’ve seen and enjoyed the movies, but even we could appreciate the level of detail. Everything you’d expect is there, Ollivander’s, Butterbeer in several varieties, pumpkin juice, snacks, and merchandise. Wands for sale at various price points, including interactive wands that will activate window dressing throughout the two lands. The Harry Potter attractions are fantastic and even the queues are entertaining enough to make the waits bearable. Escape from Gringotts was our collective favorite, although my oldest might say Dueling Dragons was his. There are now two Harry Potter themed lands with the opening of Diagon Alley last summer. Hogmeade is inside Islands of Adventure and Diagon Alley is in Universal Studios. There is a train, the Hogwarts Express, that connects the two parks, but a park-to-park ticket is required to ride this attraction. The park to park ticket is akin to Disney’s Park Hopper allowing you to hop between the 2 parks on the same day. This is not just a train connecting the parks though, it’s a ride in itself and different in each direction. This is where staying onsite comes in handy. Onsite guests have early entry to one, sometimes both during busy times, of the Harry Potter sections each morning. For our trip, in late August, is was Hogsmeade at Islands of Adventure. Entering early meant little to no wait times on Harry Potter and the Forbidden Journey, the ride inside Hogwarts Castle. Also Dragon Challenge and Flight of the Hippogriff. Beverage Cart in the queue! This is genius! Staying onsite, we also had Unlimited Express Pass included, which allows you do bypass the main queue in almost all the attractions at both parks (Harry Potter rides not included). Now, this didn’t eliminate the waits completely, but it did shorten them significantly. Despicable Me was probably the longest wait even with Express Pass at about 30 minutes, but it was posted at 80 minutes without. 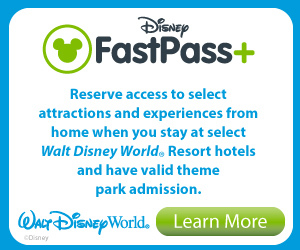 Note that you can buy an Express Pass, but it is not Unlimited, you can only ride each ride once with the regular Express Pass. Being that the parks are both movie themed, all the attractions are obviously movie centered. Comic Book heros, Minions, Shrek, Transformers, Men in Black, Jurassic Park, a favorite of my boys. There are younger kids areas like Seuss Landing. Many of the attractions are simulator type rides, but with a moving ride vehicle. As I said, most of the rides are more suited to tweens and teens or slightly older kid. My youngest is 9, almost 10 . Only 2 rides had a height limit of 54 inches. He missed the cutoff by a 1/2 inch on The Hulk and Dueling Dragons, but was able to do everything else. Several are 52 and 48 inches. There are several water rides as well, a log flume similar to Splash Mountain, a raft ride similar to Kali River Rapids at Animal Kingdom and the Jurassic Park ride. You WILL GET WET on all these rides. Soaked on two of them. I warned you. When you’re hungry there is food everywhere. Tons of counter service places and most are quite large with lots of seating. We had lunch in Jurassic Park at The Burger Digs one day. Don’t make the mistake of sitting at the tables just outside, stay inside. We had to move when a crazy squirrel would not leave us alone, he was jumping on the table and coming right to our tray trying to take our food. No fear for him, I was terrified! You don’t have to make reservations 180 days in advance! We did table service for both dinners. There are not many table service restaurants in the parks, but just outside at CityWalk there are plenty. You can make reservations for the table service restaurants, most are on Open Table, but it’s not always necessary and you can do it a week or two in advance, or even just early in the day for dinner. We chose Mythos at Islands of Adventure which is consistently ranked one of the top theme park restaurants and it did not disappoint. Food and service both very good. We also ate at Finnegan’s at Universal Studios which was great as well. Authentic Irish pub food and live entertainment, although at first the songs were decidedly classic rock, but eventually he broke into some classic Irish tunes like Irish Rover. Both Universal parks are fairly small in comparison to the Disney parks, think more along the lines of Hollywood Studios size. We had half a day, the day we arrived and then a full day the next and were able to see everything we wanted to. Now, if you are big Harry Potter fans, you’ll need a bit more time as we didn’t spend too much time exploring those areas other than doing the rides and wandering a bit during the early entry hour before it got crowded. We also took afternoon breaks to return to the resort and swim, which was super convenient being just a 15-minute walk or short boat ride away. Next time we might do 3 nights just to have a little more time to spend more time in certain areas and still have the afternoon swim breaks, maybe explore some of the other resorts as well since pool hopping is permitted at Universal. Overall it was a very enjoyable add-on and change from our usual and I do believe it will now be a MUST DO for all future trips.